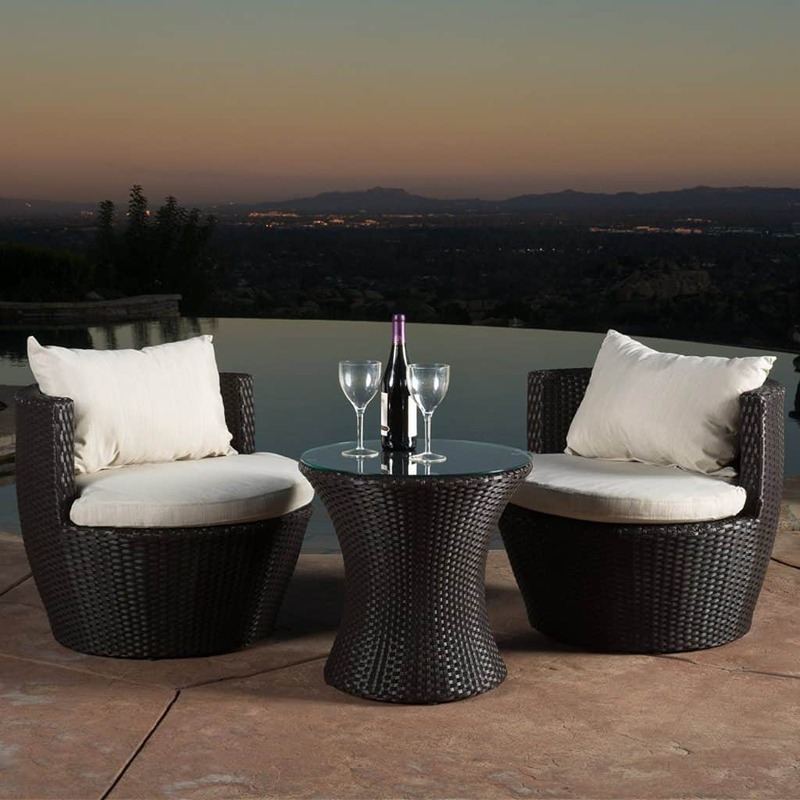 There is nothing quite like wicker outdoor furniture to make your outdoor living spaces feel welcoming and homey. Imagine relaxing on your front porch or back patio area, sitting in your comfortably padded wicker chair, sipping on iced tea and listening to the chirping birds or the joyful noises of the neighborhood kids. Let’s begin with revisiting what wicker is; the term refers to the pattern of the weave, rather than the material of which it is made. 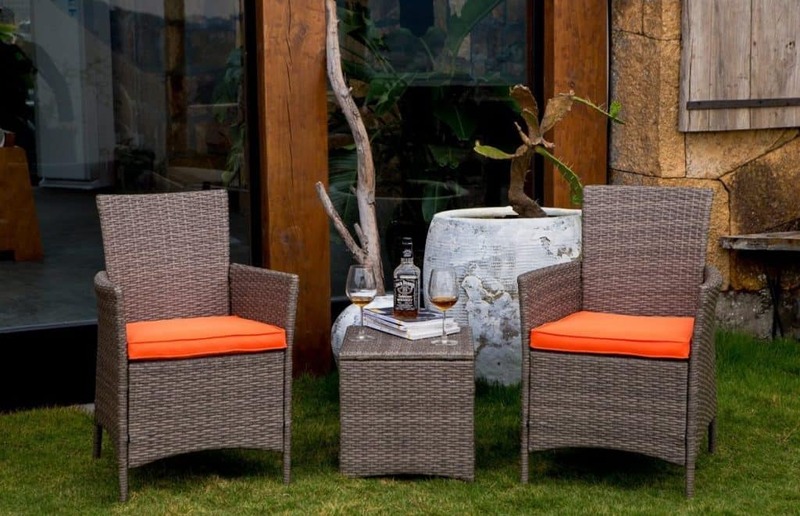 Wicker is made from a variety of natural materials including rattan, willow, reed, and bamboo. 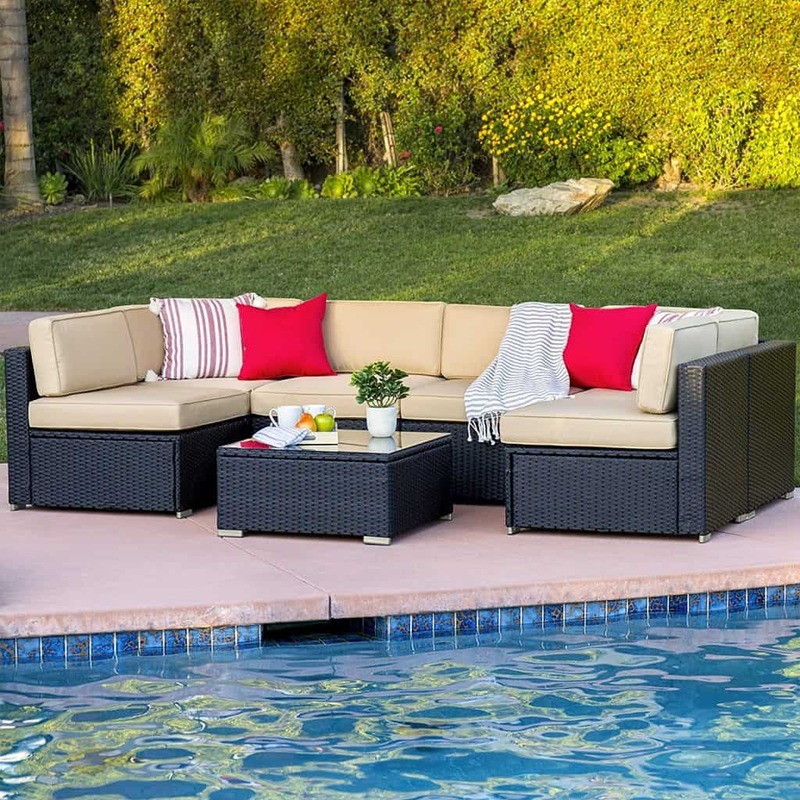 More recently, wicker is also being made from a plastic resin material that is manipulated into the same weave pattern as wicker is made from plant materials—but with the advantage of being more impervious to the elements. These days, however, even natural wickers can be treated so that they resist the effects of weather. 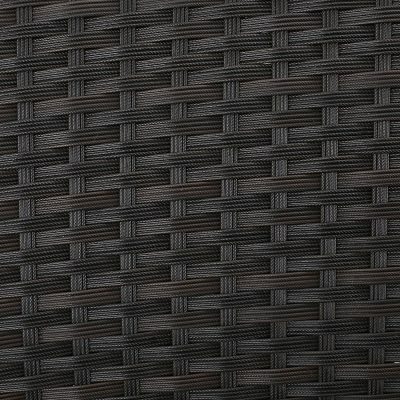 With the organic, natural look derived from its timeless aesthetics and clean lines of the weave pattern, wicker is a strong choice for outdoor use. 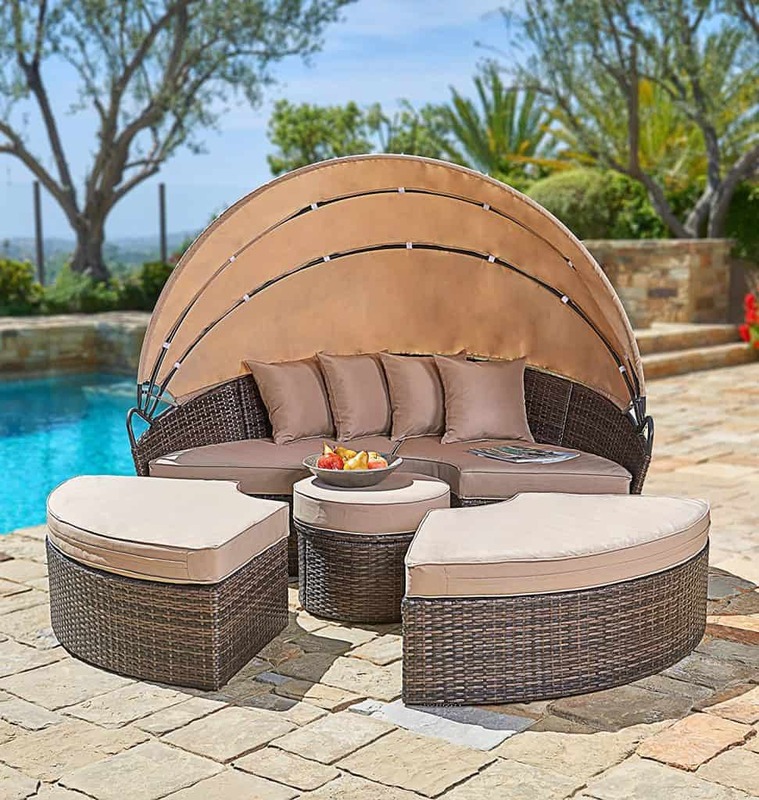 Wicker outdoor furniture will make any of your porches, patios, and other outdoor living spaces look inviting, feel comfortable, and beg for you and your guests to come sit a spell. 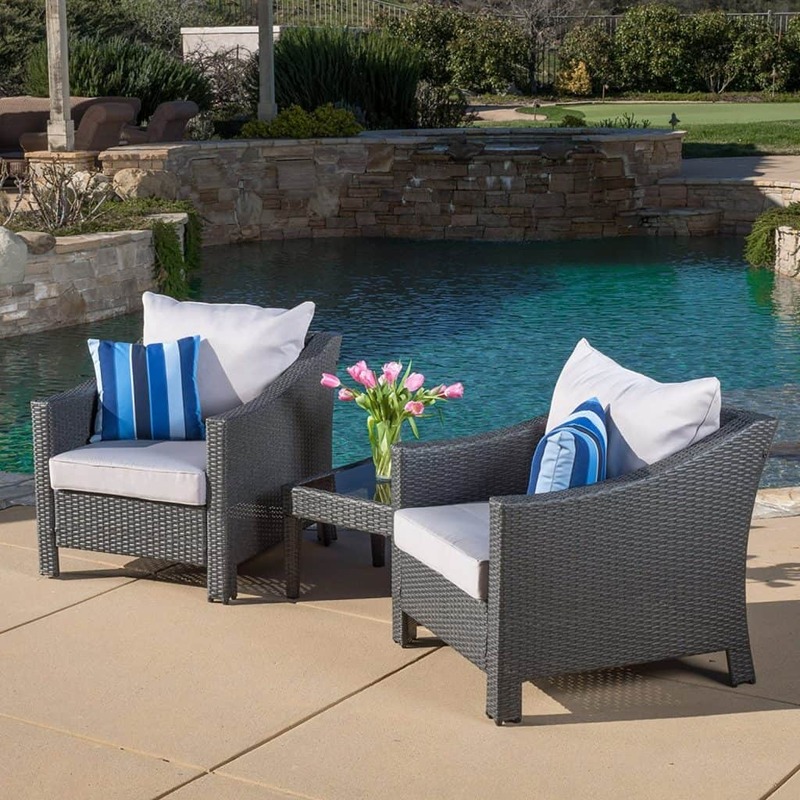 Nothing makes an enjoyable outdoor living space quite like outdoor wicker chairs. Whether you’re creating an outside space on your porch, an attached patio, or a patio area in your yard, wicker chairs say “Welcome! Come sit a spell and visit.” There really is no equal to the warmth, comfort, and versatility of wicker furniture. If you choose your wicker chairs wisely, you can create an outdoor space that you love, and that can last a lifetime. Depending upon your chosen cushions, you could give your wicker chairs a cozy country look or a chic modern motif. In fact, you could reasonably have varying wicker chair cushions for each season—adding to the changing hues and playfulness to your outdoor living spaces. 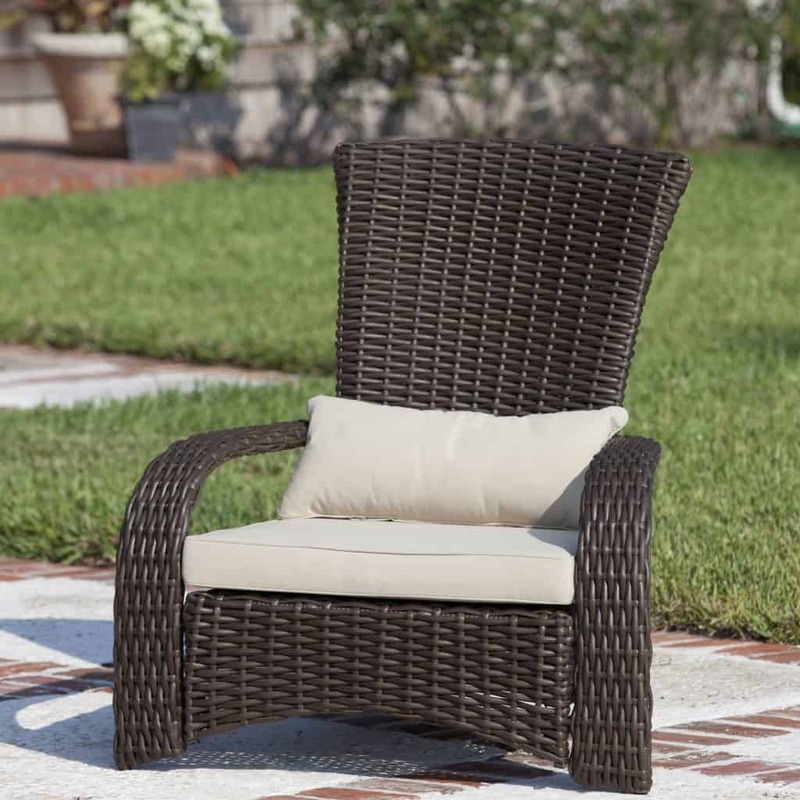 An outdoor wicker chair makes a comfortable seating area for your outdoor living space. Before going out to buy one for your home, find out if this kind of chair complements your current patio design. Just like when you are shopping for other kinds of furniture, make sure that there are no protruding parts or sharp edges. This is the usual problem with wicker chairs. You can just add waterproof cushions on the seat to make it even more comfortable for your family or guests. Not all wicker chairs are actually made of wicker material, they can also be made of plastic or resin synthetic materials. They look a lot like traditional wicker, but they are a bit pricier. Find out what the advantages and disadvantages of each kind (see below “resin vs wicker”) so you know which fits your budget and your preferences. The presence of other types of furniture in your patio should also be considered when buying an additional piece like a wicker chair. This is especially necessary if your existing furniture is also made of wicker material. Mismatching rarely works for home design. Moreover, do not forget to measure your patio. You won’t like to have a furniture piece that will make your space look cramped. 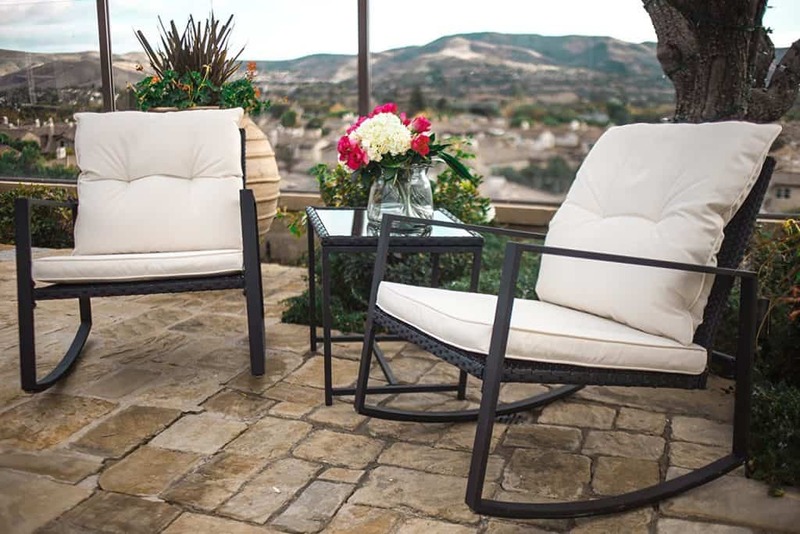 When you think you find the chair that is perfect for your outdoor area, spend a few minutes examining the quality before actually purchasing it. Never skip this step especially if you are buying from a garage sale or a used furniture shop. Check for any rotting part or gaps and torn parts. Sitting down on it for a few second is a good way to test the sturdiness. The same is true when choosing a cushion for your wicker chair. If it is necessary to keep the costs down, do a little research first about the off-peak season in your area. Usually, it is during summer or early fall that shops hold promos and sales. You can benefit a lot from price markdowns. Off-season purchases could lead to ownership of sturdy, high-quality furniture for your home. These could last a lot longer than chairs bought from garage sales and used furniture shops. As a consumer, you need to be extra smart when it comes to substantial investments like furniture pieces. You can provide your family with a home that they are comfortable in without burning your pocket or drowning in credit card debt. Try An Entire Wicker Bistro Set! Don’t stop with just chairs, when you can get a great wicker bistro set. Start by deciding whether you will be placing it indoors or outdoors. 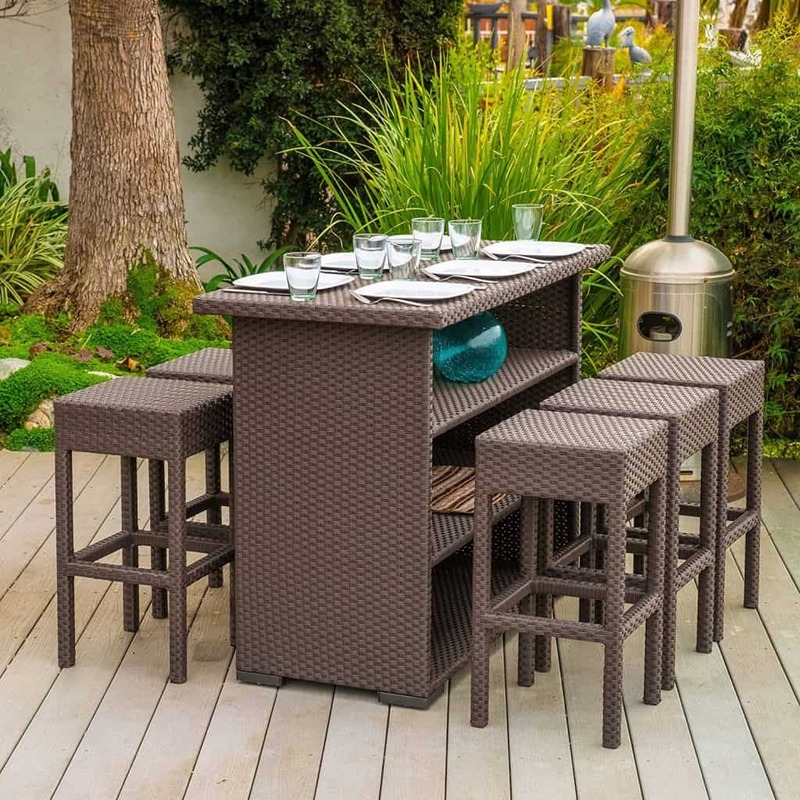 The materials and design of your bistro furniture should always be suitable for the location. If you will use them outdoors, your bistro furniture set should be made of waterproof materials or treated with waterproof coatings. Indoor bistro furniture will not need this kind of treatment. They may even have cushions or upholstered seats. 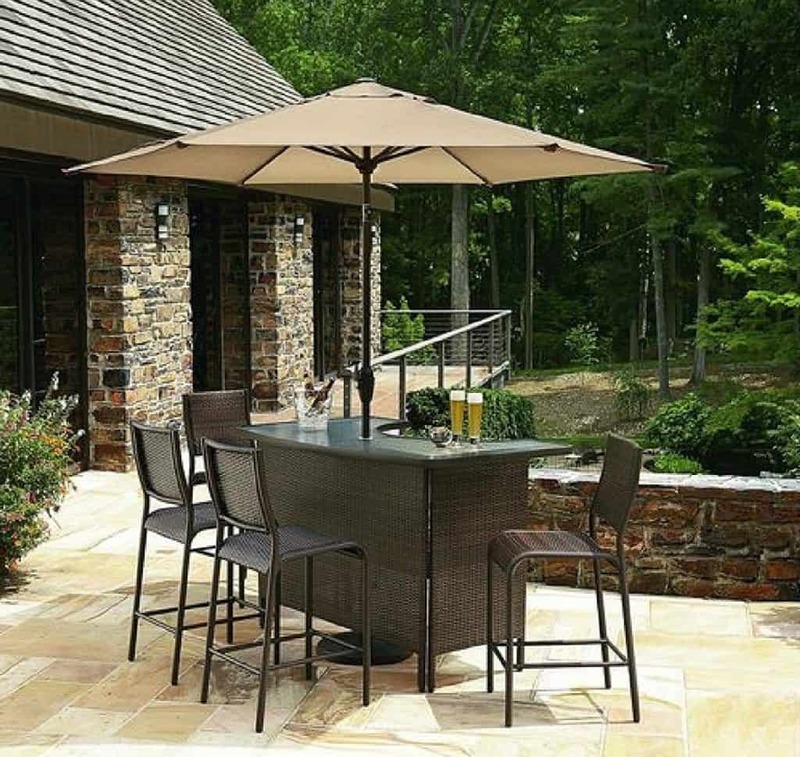 You can use a wicker bistro set even if your patio or outdoor living space is small. You just need to find them in sizes that can be accommodated in your home. 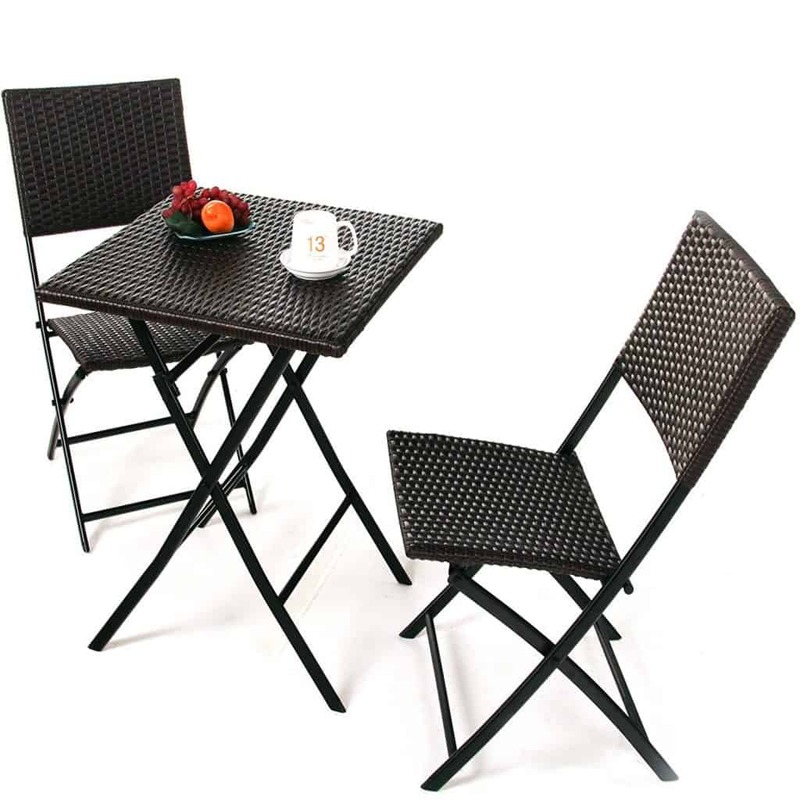 If you have a large area in your rooftop or patio, you can add more than one outdoor bistro set. 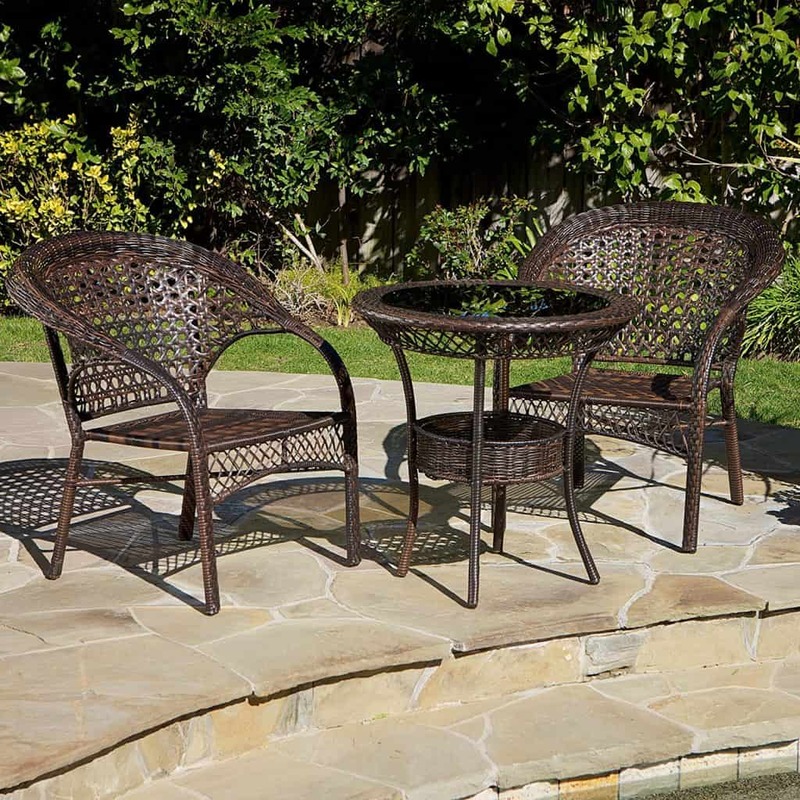 Wicker bistro sets may be made of bamboo, willow, rattan, or reed. They look natural so they make your bistro look cozy and welcoming. Although wicker is perfect for the outdoor setting, they may also be used indoors especially if the décor has a Victorian or Oriental theme. 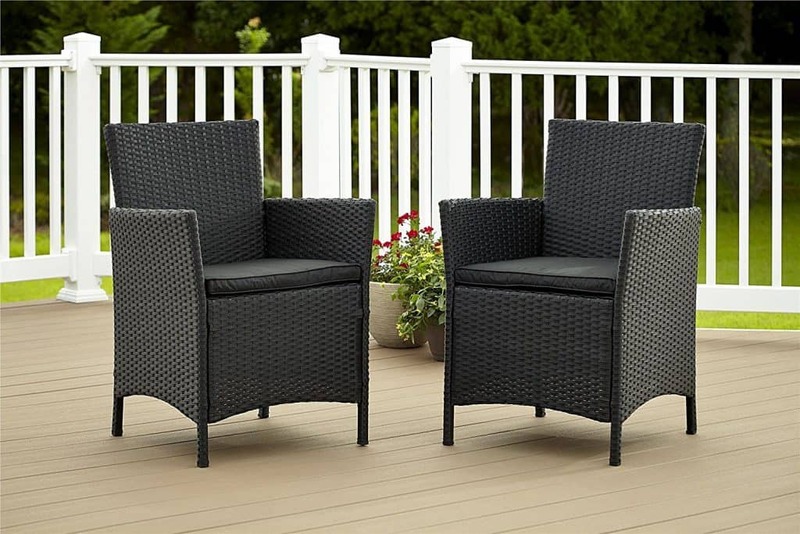 When selecting wicker furniture set, you need to consider the climate. 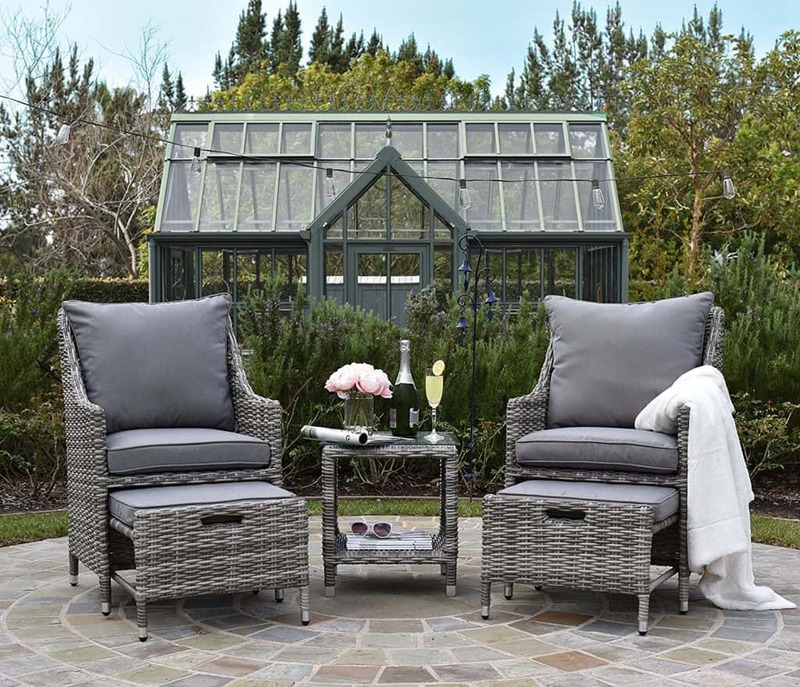 Although wicker is meant to resist abusive weather, wicker furniture with aluminum frames is more resilient than those made of pure wicker. For tropical countries, wicker chairs that have been treated with UV-obstructing chemicals are perfect. This way, your bistro set is kept from sun damage. 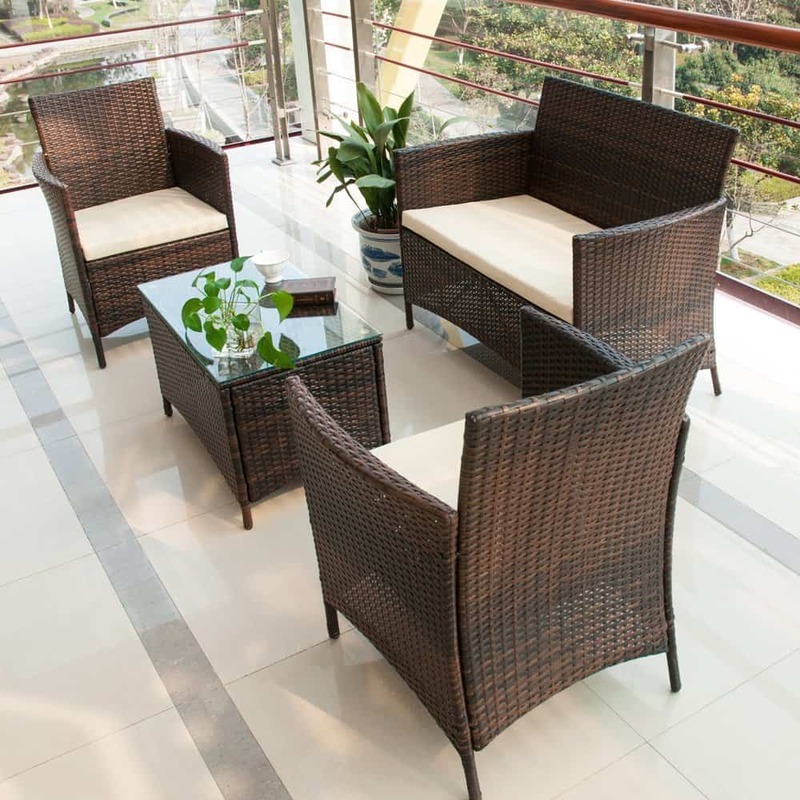 On the other hand, resin-treated wicker furniture is best if they are used in areas prone to moisture. Before you buy, examine the joints of your wicker set. They should be reinforced and the material should be thick. Although extra cushions are also desirable, you can let go of this feature and choose high-quality craftsmanship instead. Cushions can be bought separately. Besides, wicker chairs are comfortable enough even without cushions or upholstery. You can update the look of your bistro by adding durable wicker furniture. 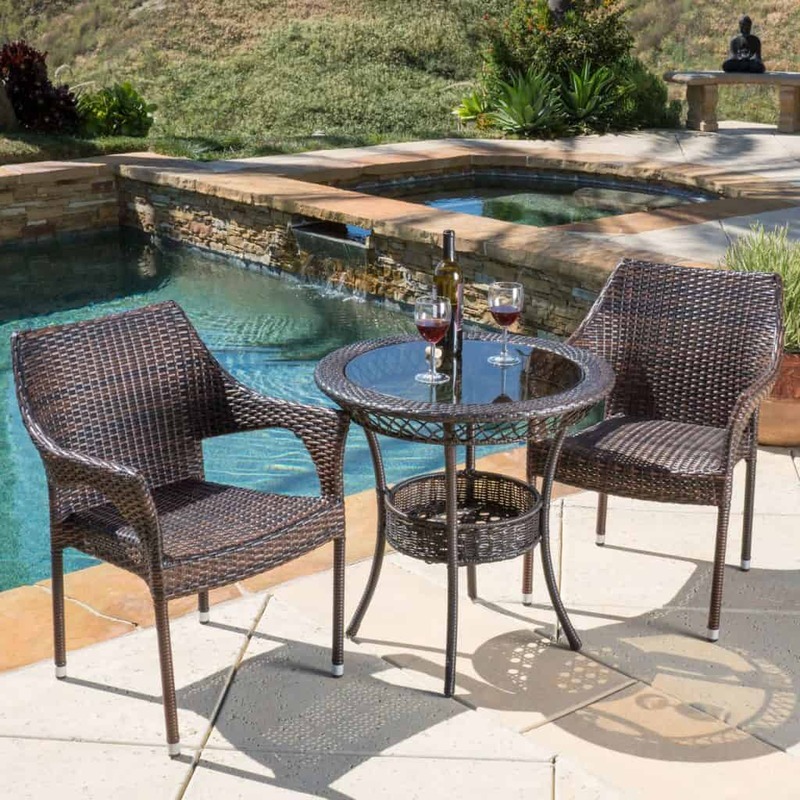 Whether you choose a simple wicker bistro set or an upholstered version, you will enjoy the numerous benefits of owning a wicker furniture set. They are lightweight, so rearranging or moving them around is easy. Just because they are comfortable, it does not mean they are not durable. They are known for strength, especially those that are made by extremely talented manufacturers. You also will not need to worry about the aesthetic aspect. 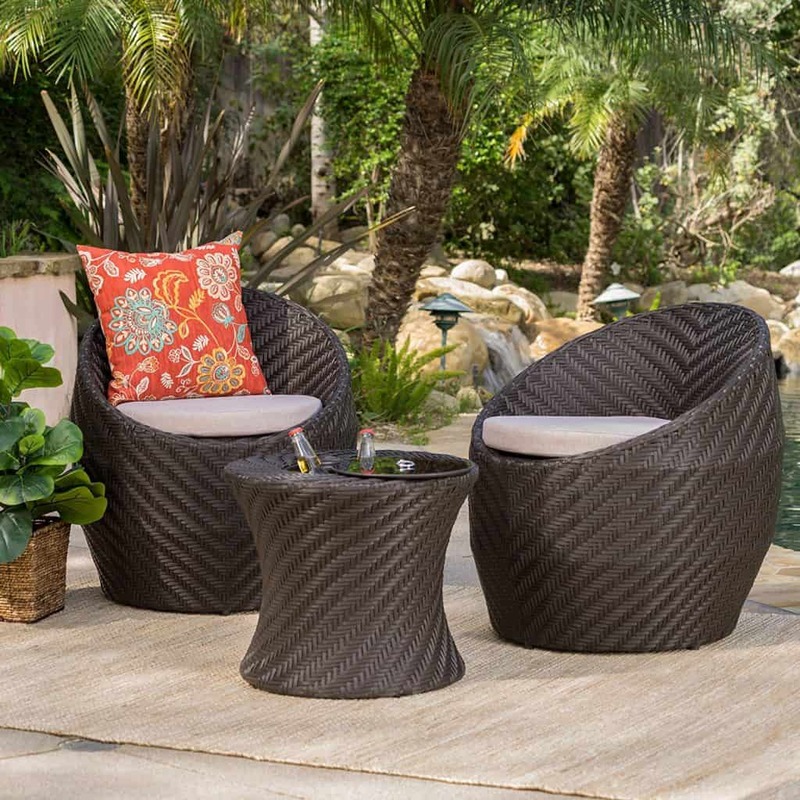 You can pair your wicker set with any kind of décor because they come in different styles and colors like cream, tan, brown, or olive green. 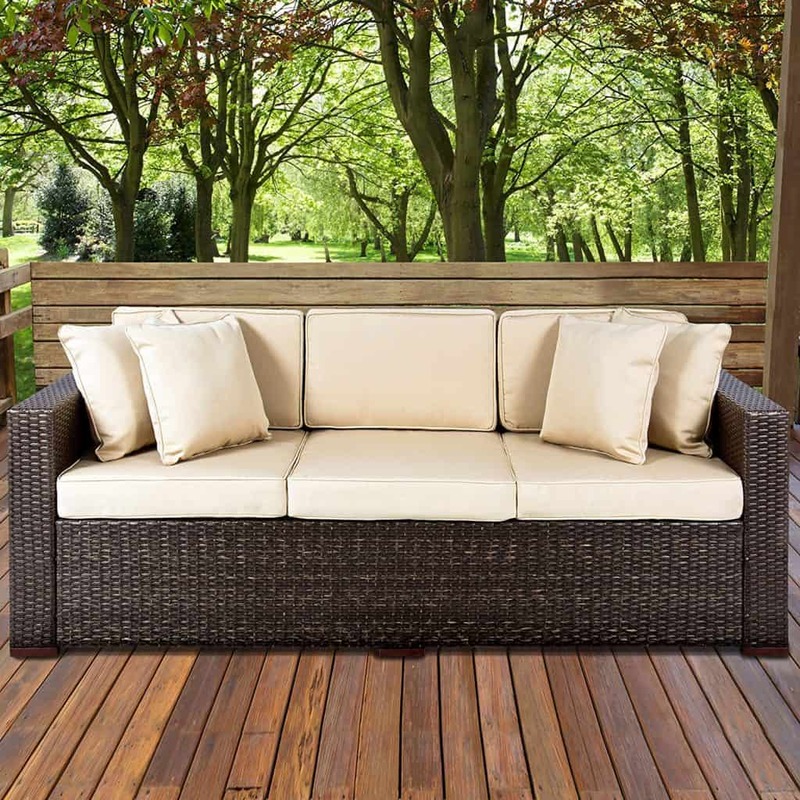 Examining what wicker is and the various types of wicker is important if you’re considering a purchase. Which type you purchase will—most likely—be determined by where exactly you plan to use your wicker bar. 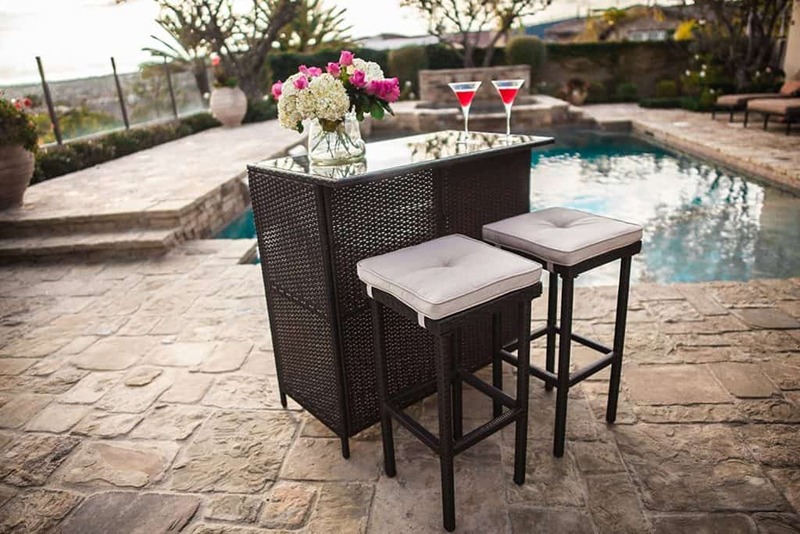 With research, consideration, and planning, you can use your wicker bar to create your ultimate entertaining area. Let’s begin considering a wicker bar by reviewing what wicker is; the term refers not to the material with which it’s made, but, rather, the pattern of the weave. Wicker has traditionally been made (and still is) from various natural materials including willow, rattan, bamboo, and reed. 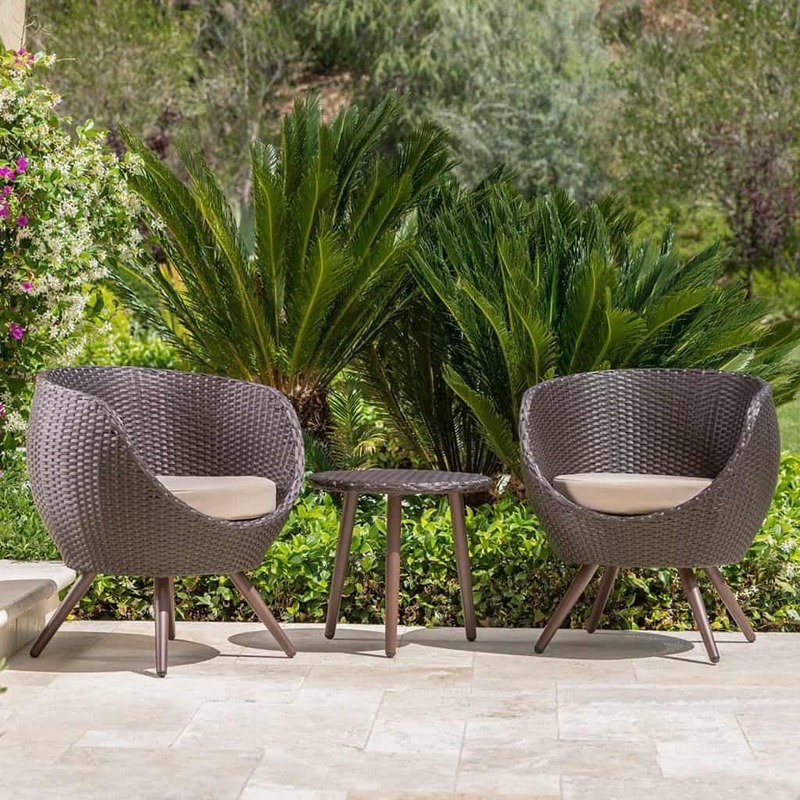 Nowadays, wicker is also being made from a plastic resin material that is styled into the same weave pattern as wickers made from plant materials—but with the advantage of being more durable in the face of the elements. Though, even natural wickers can now be specially treated so that they resist the effects of weather. With the natural, very organic feel—derived from its timeless aesthetics and clean woven lines, wicker is a solid option for indoor and outdoor use. 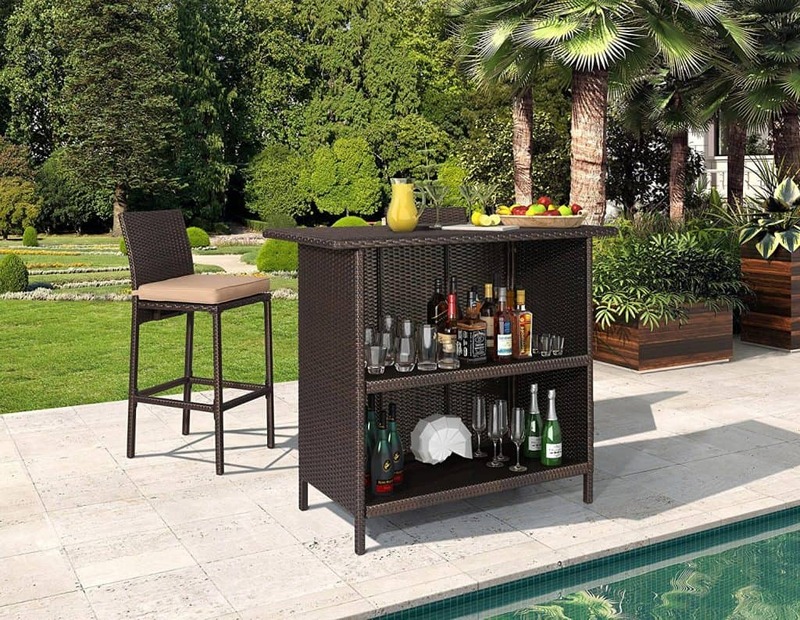 A wicker bar can afford a room a homey comfort or a chic and mod feel, depending on its style and upon where you intend to set up your bar area. 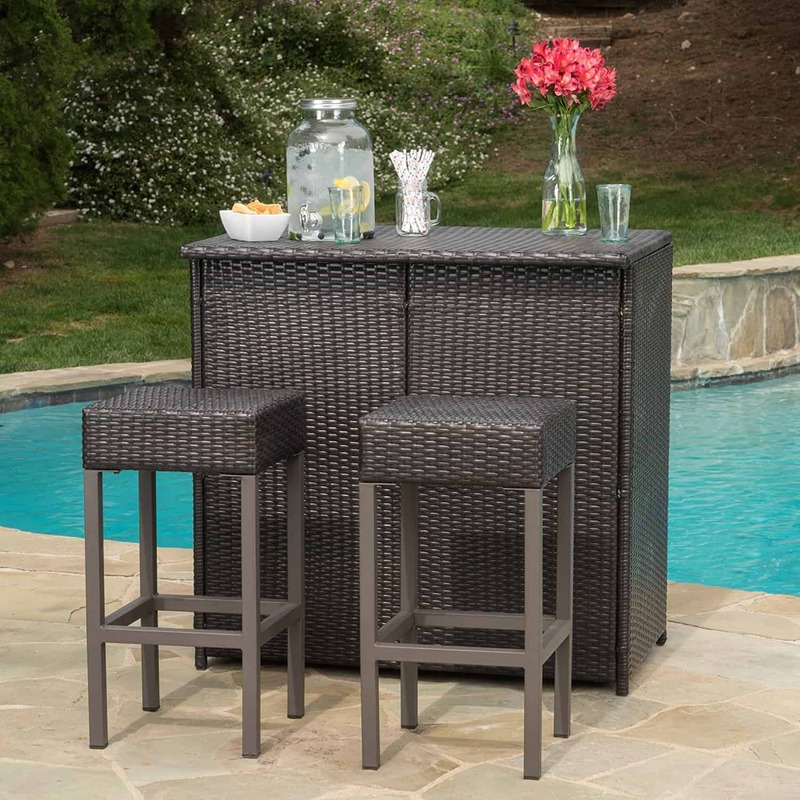 A wicker bar has many uses—extra serving space for a buffet-style dinner party, an entertaining space in a den, recreational room, bonus room, or basement area; a snack and drinks area in a home theater room, or the obvious bar area at which drinks will be prepared and served (indoors or outdoors). 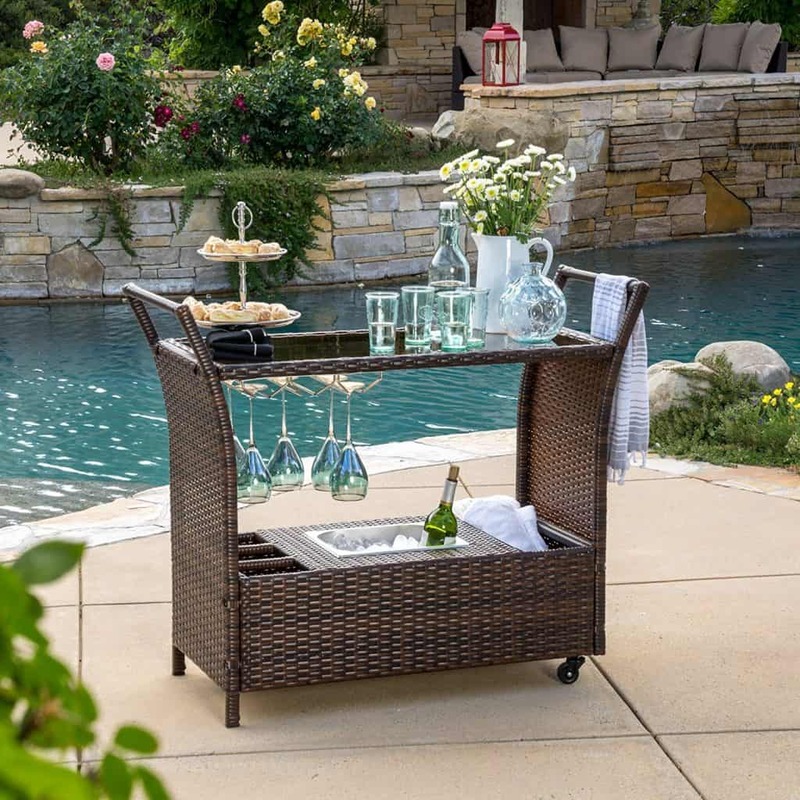 If you’re using the wicker bar as an extra serving area for entertaining, you could choose virtually any style of wicker that suits your needs and tastes. A wicker bar used occasionally as extra serving space for a buffet-style dinner party would be lightweight and easily movable, therefore it need not be specifically matched to any particular décor, but it can be if having that continuity is important to you. Whereas a bar that isn’t used daily need not match your décor, a bar that is in a static place will probably be the centerpiece of your motif in that room. A tropical-looking bar can help to create an island oasis right in your home or yard. A modern-style bar could make a great bar area for cocktails in a sleek, contemporary living space. 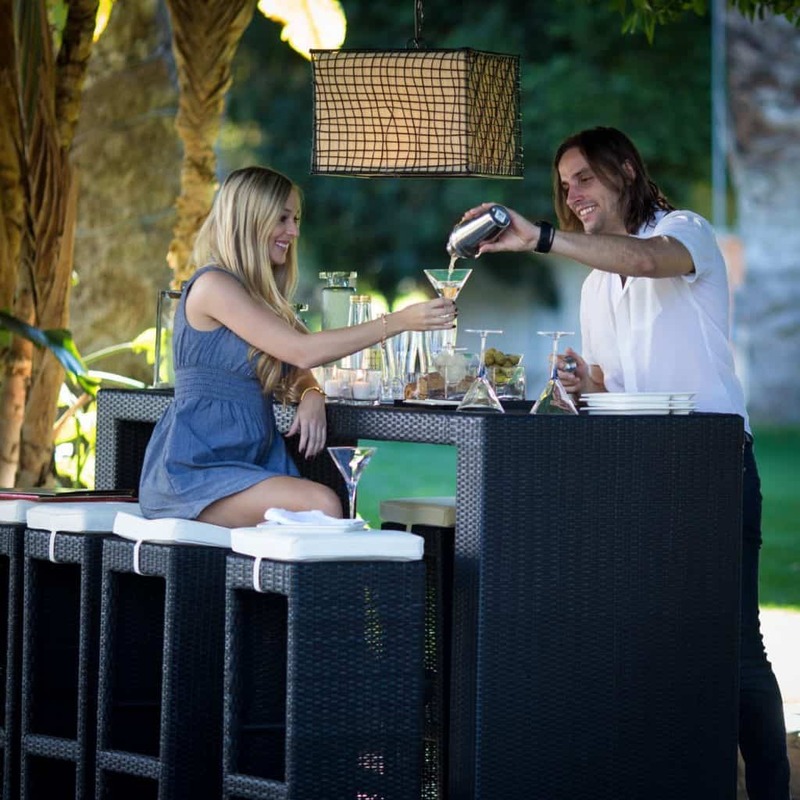 The only limit to how to use your wicker bar is your imagination. 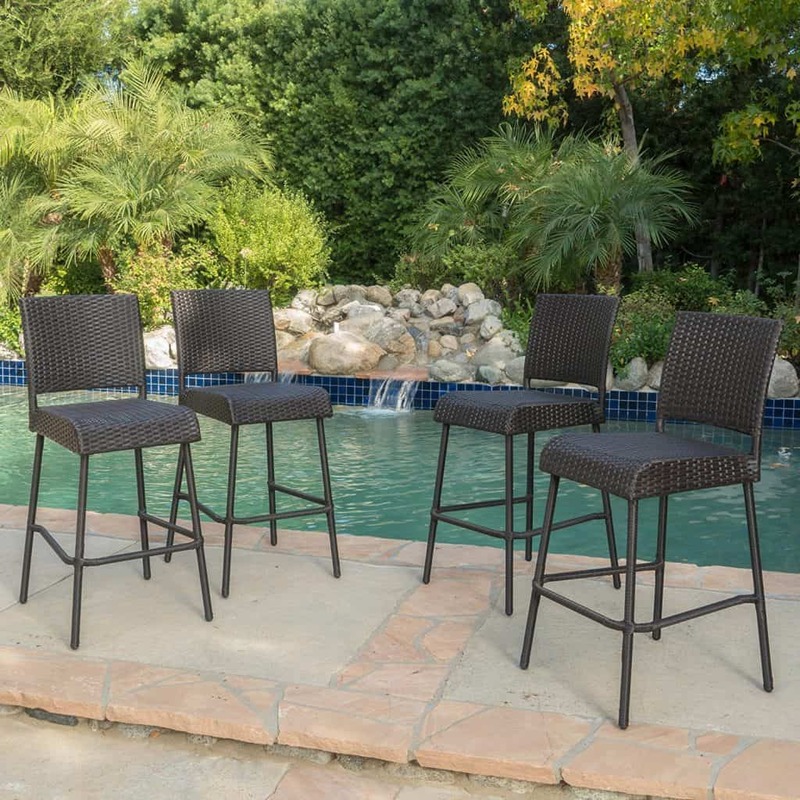 Since you can find wicker in just about any style and motif, take your time and find that one wicker bar that best suits your style and needs. And then, the party is on! Of course, you want the wicker furniture you invest in to last a long time. By keeping just a few points in mind during your shopping, you can help ensure that you purchase the right wicker for your needs. 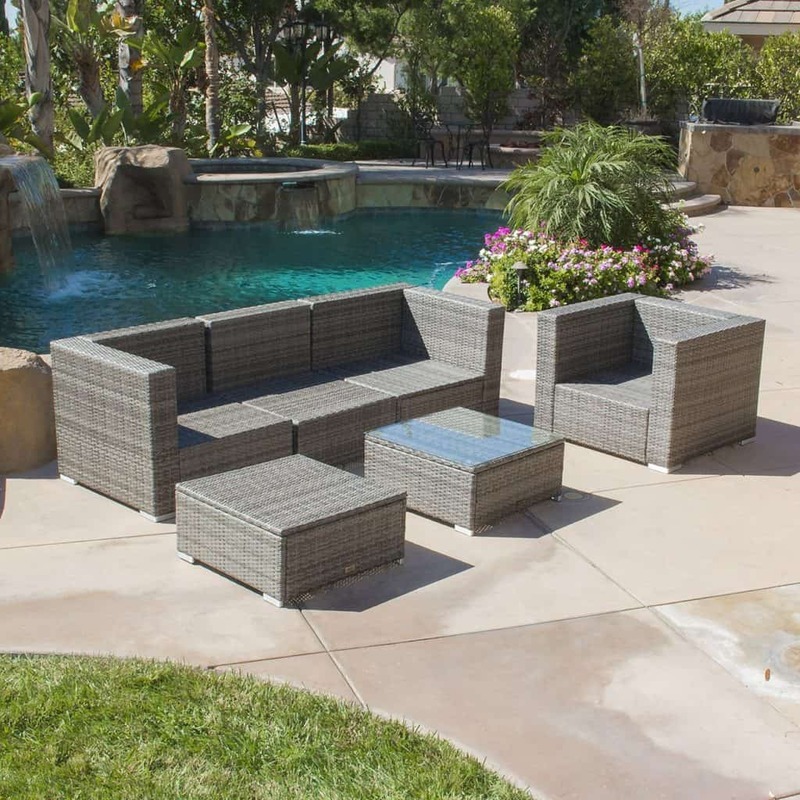 First and foremost is to consider where your outdoor wicker furniture will spend their time: is the area covered? Screened-in? Completely open? The answer will most likely affect the wicker you choose. Note the different types of wicker—those made of natural materials and those made of plastic resins. 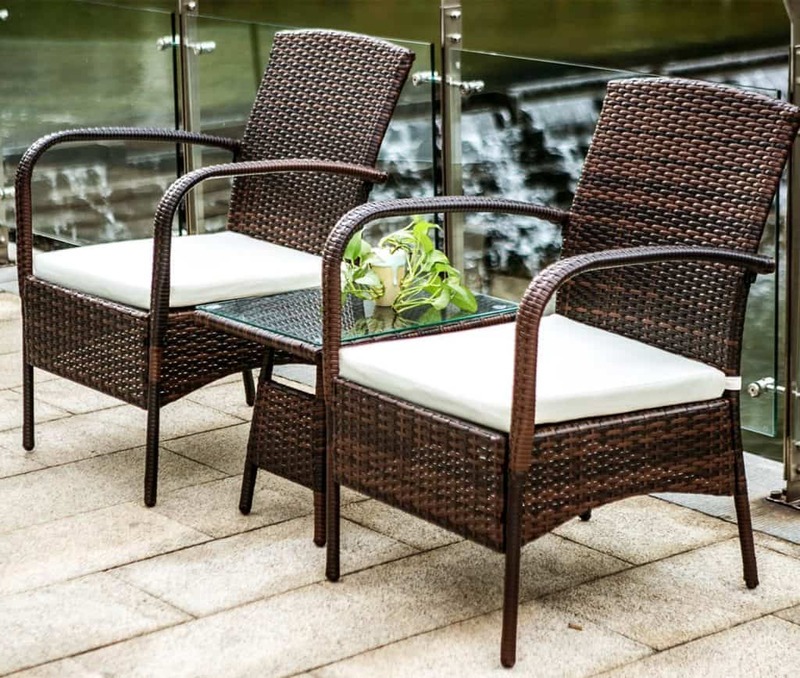 The resin wicker will generally last longer, but if you must have a natural wicker, there are wickers treated for resistance to the elements outdoors. Those which are specifically labeled “outdoor use” have usually been treated for the elements and are made to endure in climates with more defined seasons. Wickers labeled as “limited exposure” have been somewhat treated, but are intended more for a covered or screened-in area; they just won’t stand up to the sun and rain as well over time. And be sure to totally avoid “indoor use” wicker for your outdoor spaces—the elements will be harsh on them. In fact, the climate is another big consideration when investing in outdoor wicker furniture. While mild climates will be kinder to your furniture, areas with more defined seasons and more extreme weather will eventually affect your wicker. Of course, keeping climate and types of wicker in mind won’t matter all that much if you ignore quality. 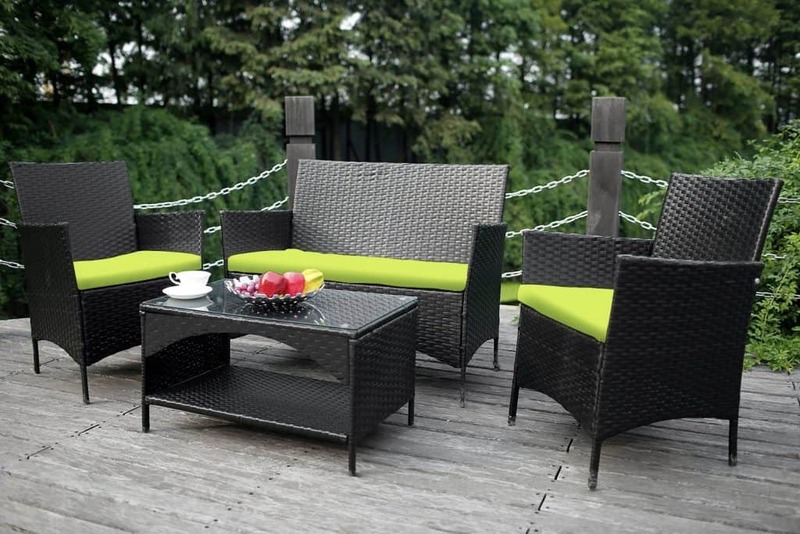 Wicker furniture with aluminum frames, reinforced joints, and densely woven material are usually of great quality. Whatever your needs and wants, keep in mind that your outdoor wicker furniture is an extension of your home. You can choose to go with a cohesive look that mimics your indoor décor, or you can take the opportunity to go with a different and bold with your outdoor wicker. Resin Versus Wicker – Which is Better? 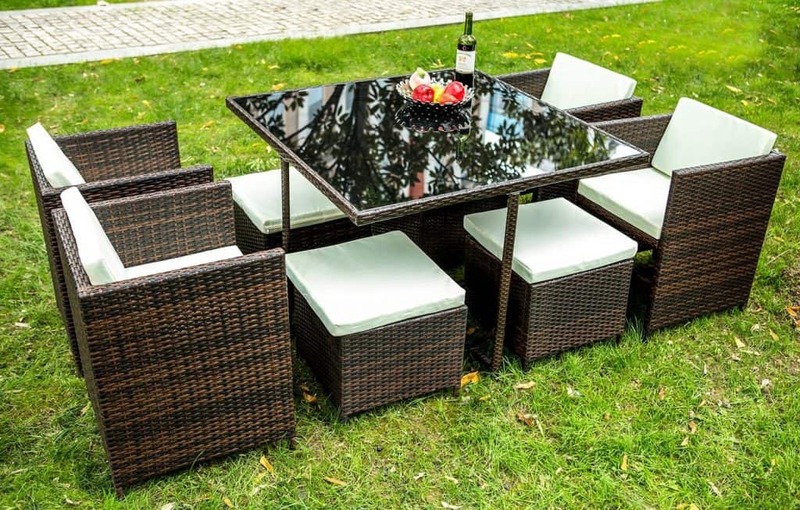 Resin outdoor furniture is a beautiful and durable alternative to traditional or rattan wicker. 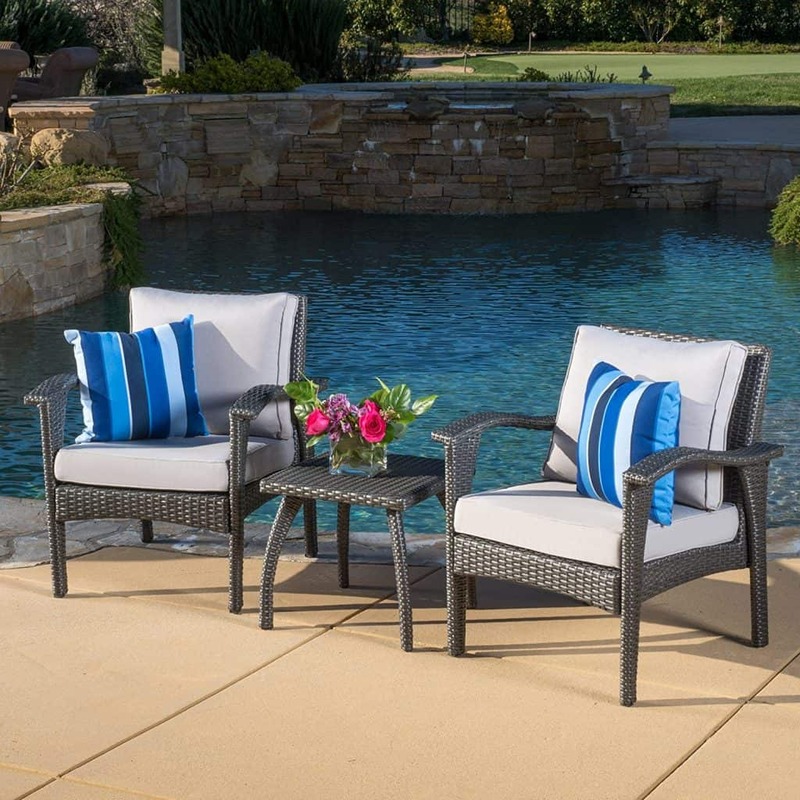 You’ll usually find resin wicker furniture sporting cute and cozy cushions, much like traditional wicker. Rattan wicker is made with natural materials that are woven into the “wicker” pattern. Unfortunately, but inevitably, that natural material will succumb to the elements. 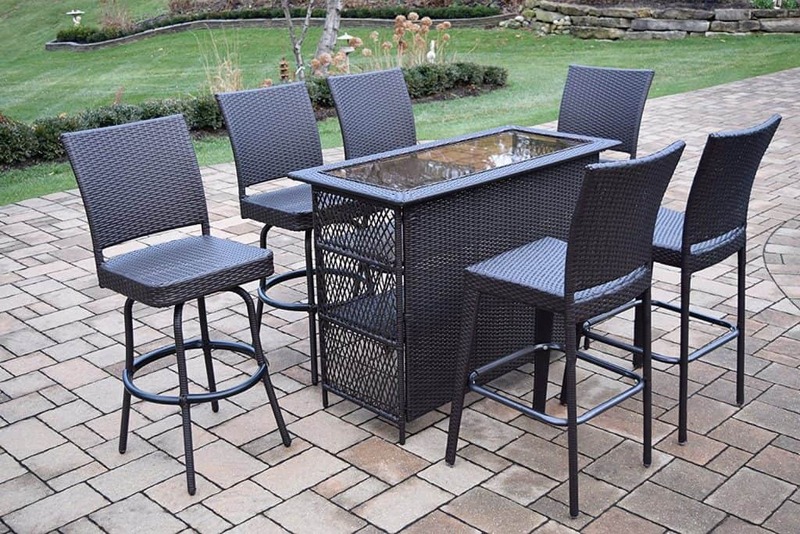 On the other hand, resin wicker is perfect for patios, porches, and other gathering areas around your yard because it is not vulnerable to many outdoor elements that can damage furniture. It’s resistant to most outdoor elements and it’s super-easy to clean. 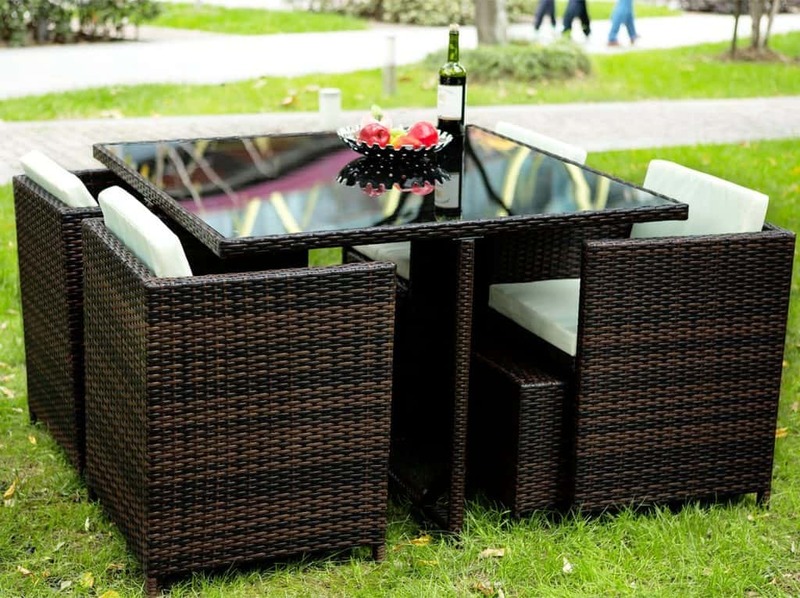 Resin wicker outdoor furniture has all these pluses, and it has a look virtually identical to natural, rattan wicker. The durability of resin outdoor furniture is due to how it’s made. Its base material consists of polyethylene resin fibers, which gives the furniture its amazing strength and endurance. 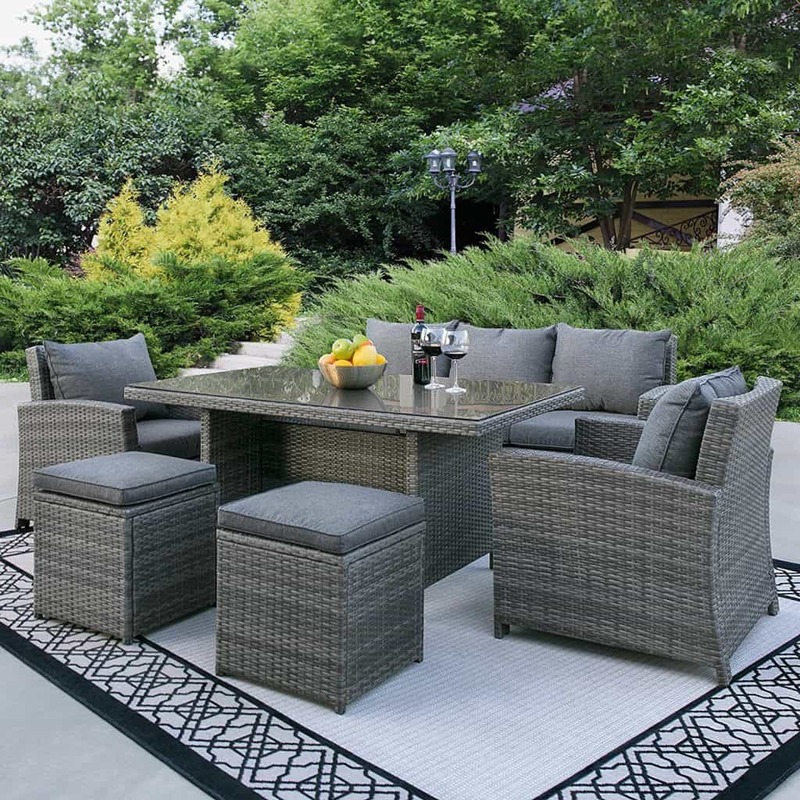 These fibers are usually woven onto a lightweight aluminum frame; this combination of materials makes for easily movable furniture for your porch or patio. 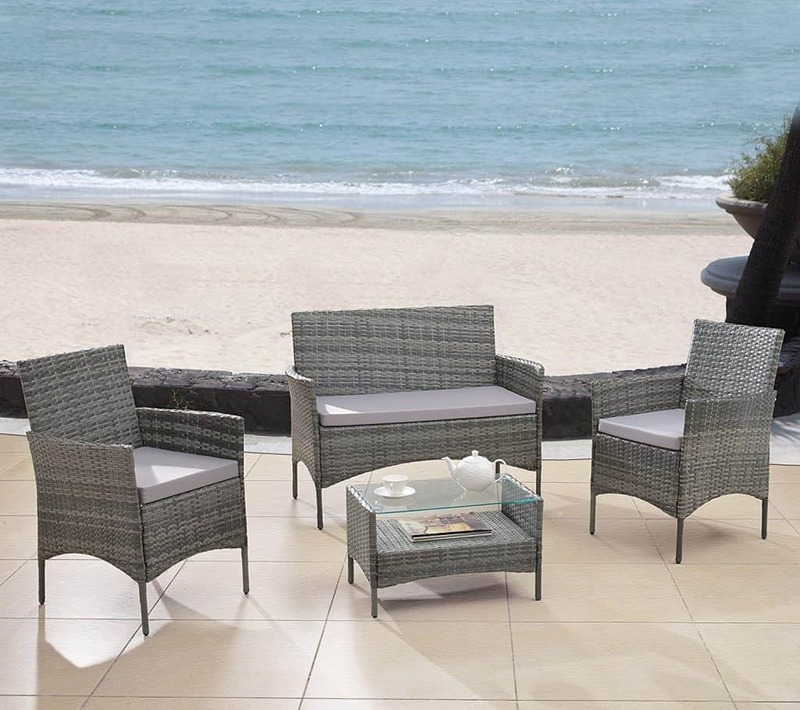 Moreover, the resin wicker has the look of natural wicker, without any of the downfalls. 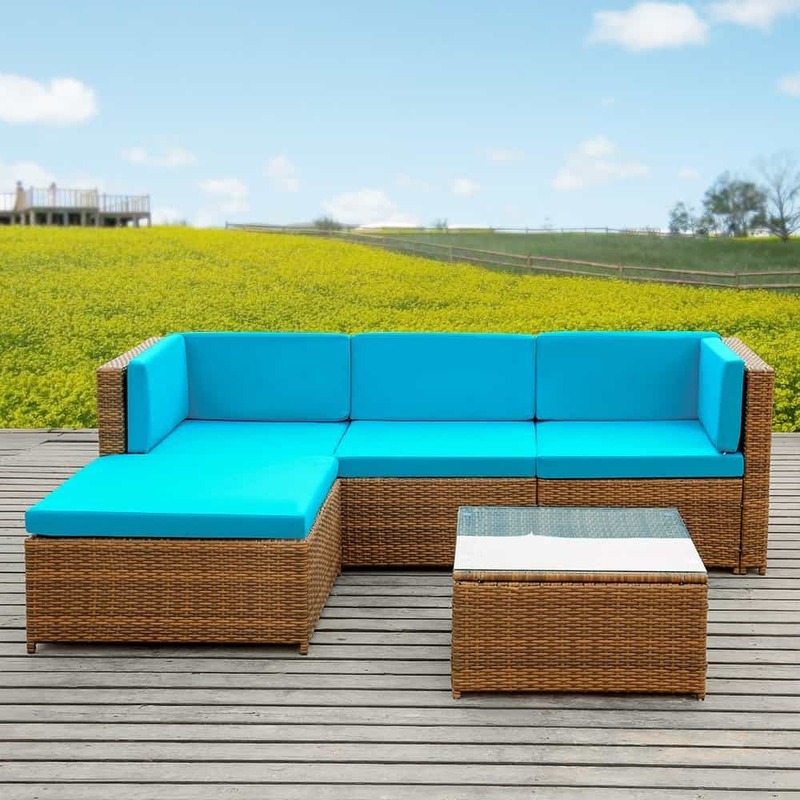 One problem with natural wicker it is completely susceptible to the elements—water, temperature, pests, and sunlight—and will eventually start to deteriorate in looks and sturdiness. 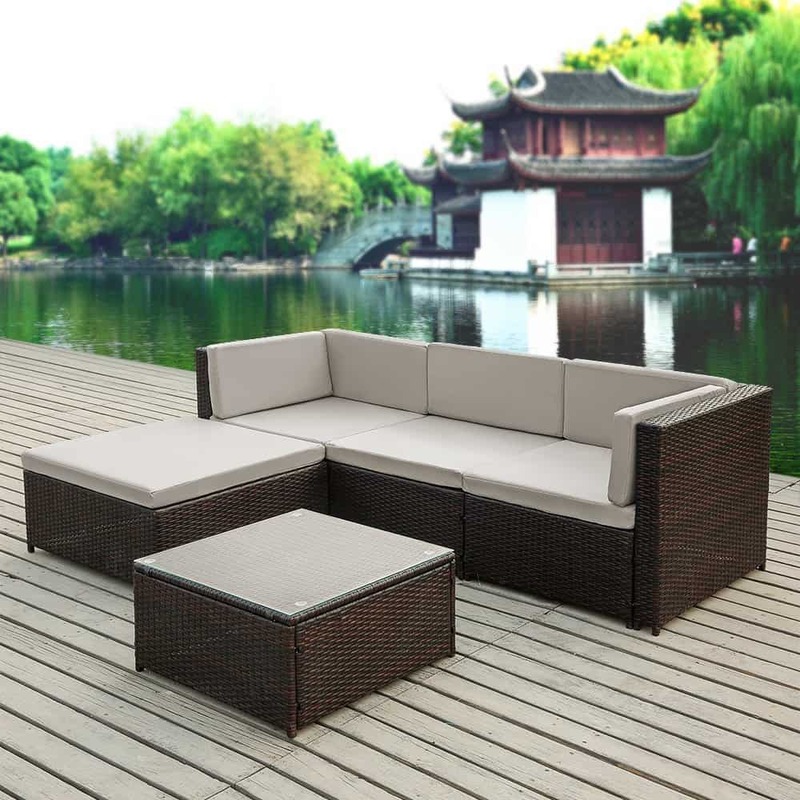 Resin wicker is extremely durable because it’s resistant to water, changes in temperature, the UV radiation from the sun, and it’s impervious to pests. 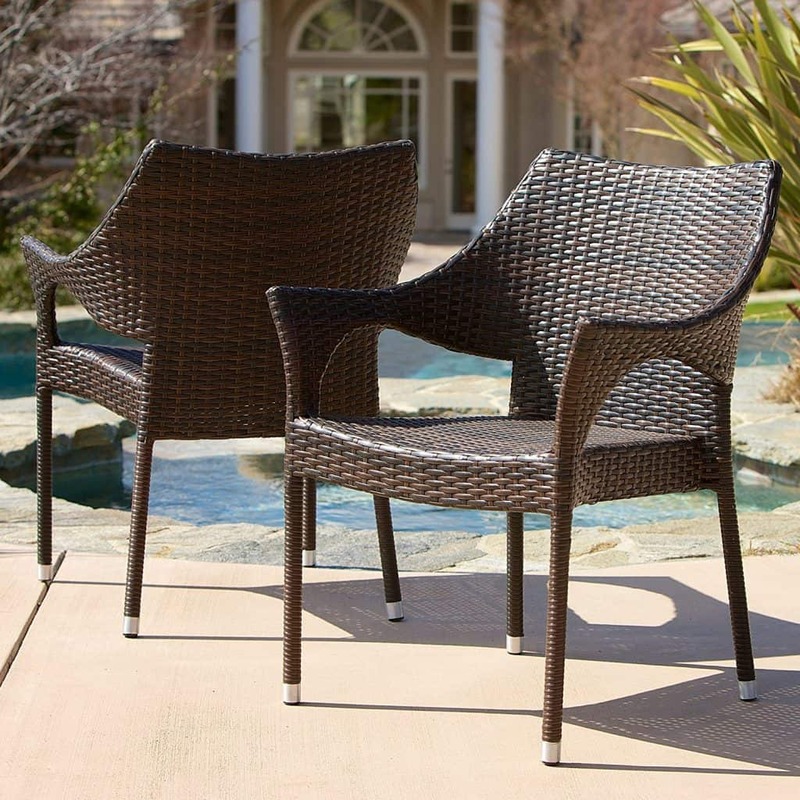 The strength makes it a far superior choice for outdoor wicker furniture—it could potentially last a lifetime! 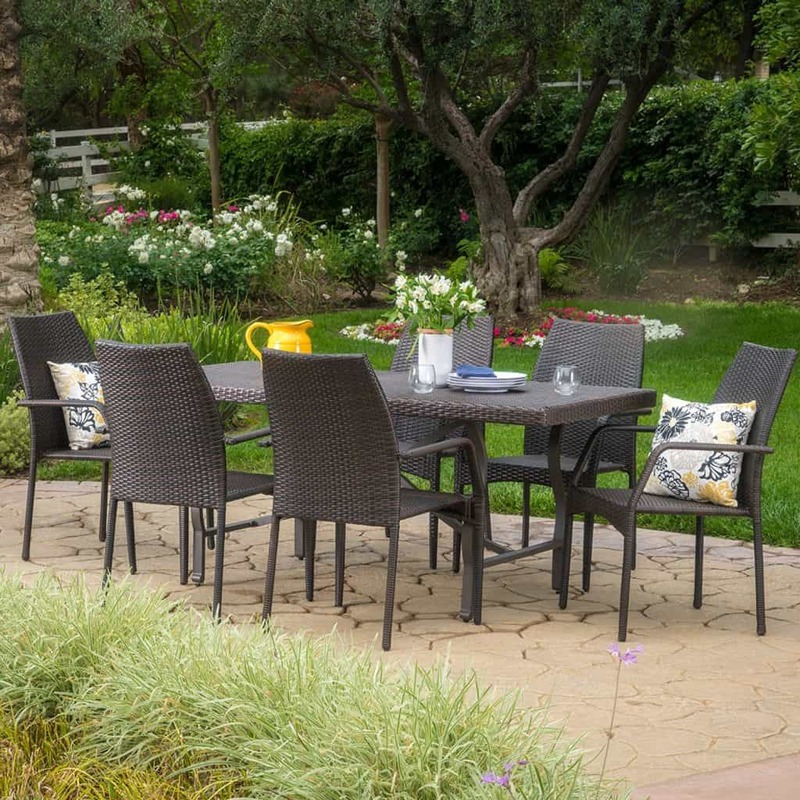 In addition to all of the amazing durability benefits, resin outdoor furniture is also so easy to clean. 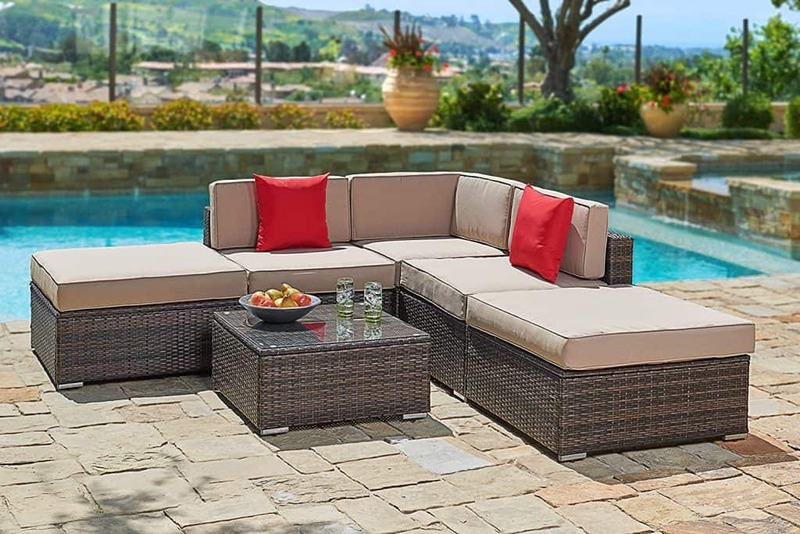 Regardless of whether your resin outdoor wicker furniture is plagued with dirt, grime, pollen, food, or whatever else you can imagine, the resin wicker readily cleans-up with a common cleaning solution on a paper towel, a damp cloth, or even a quick spray with a garden hose. Since the material doesn’t permanently retain water or stains, it has the potential to look brand new through many years of use. This is so crucial today because most people want to invest their hard-earned money in outdoor furniture that will be usable and look beautiful for decades. 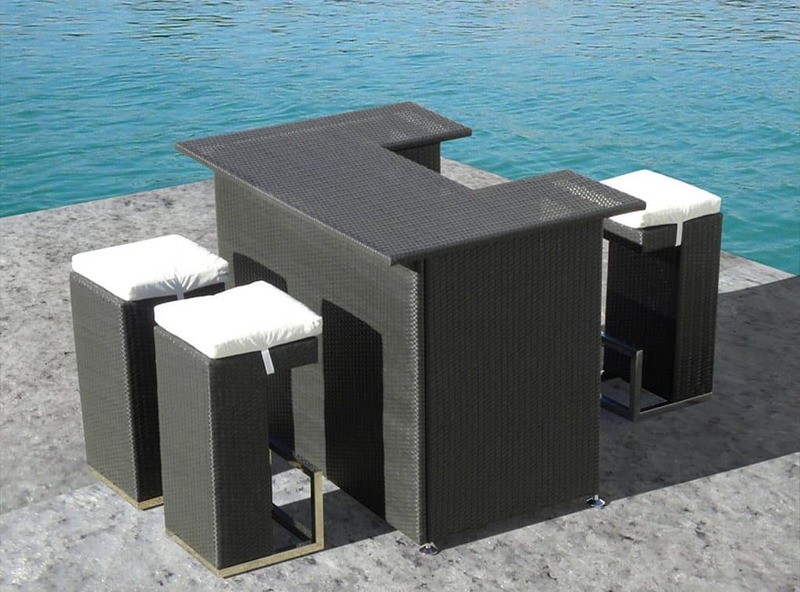 This resilience makes resin wicker outdoor furniture well worth the initial investment. 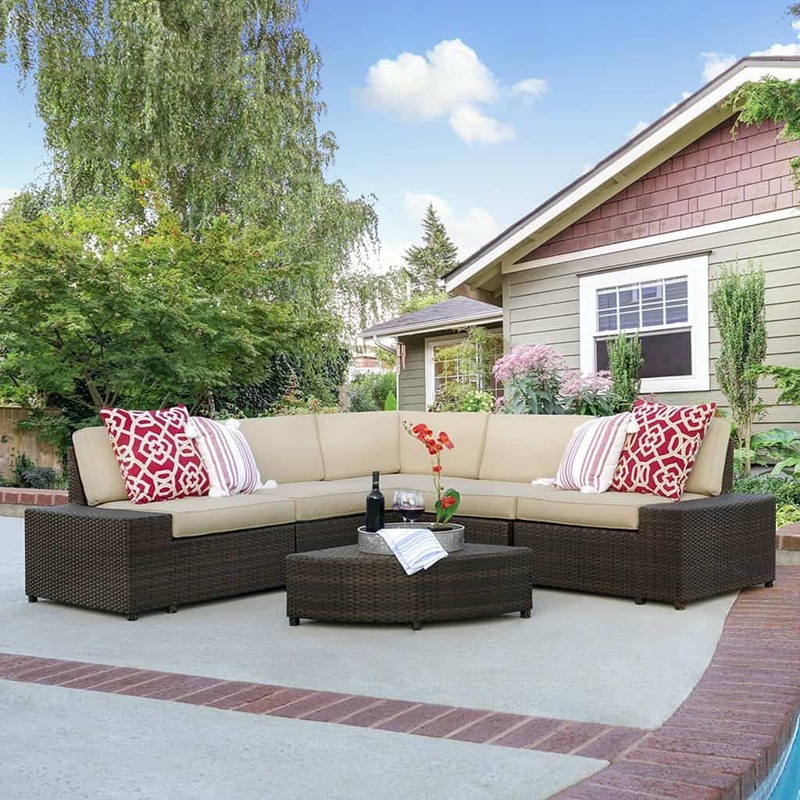 And, if you at some point desire a slightly different look, you can simply replace the furniture’s cushions with a different color or pattern and—abracadabra—it’s as if you’ve purchased all new outdoor furniture. Resin wicker chairs are outdoor furniture pieces that are coveted because of their beauty and coziness. 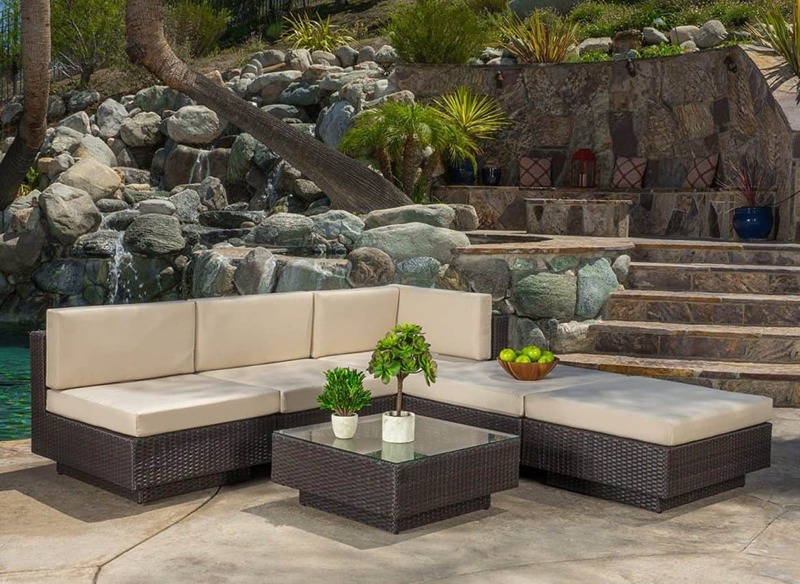 They are the most common furniture materials for outdoor living space. Both possess characteristics that are desirable and detrimental. In choosing between the two, knowledge of their peculiarities and one’s personal tastes can play a big role. 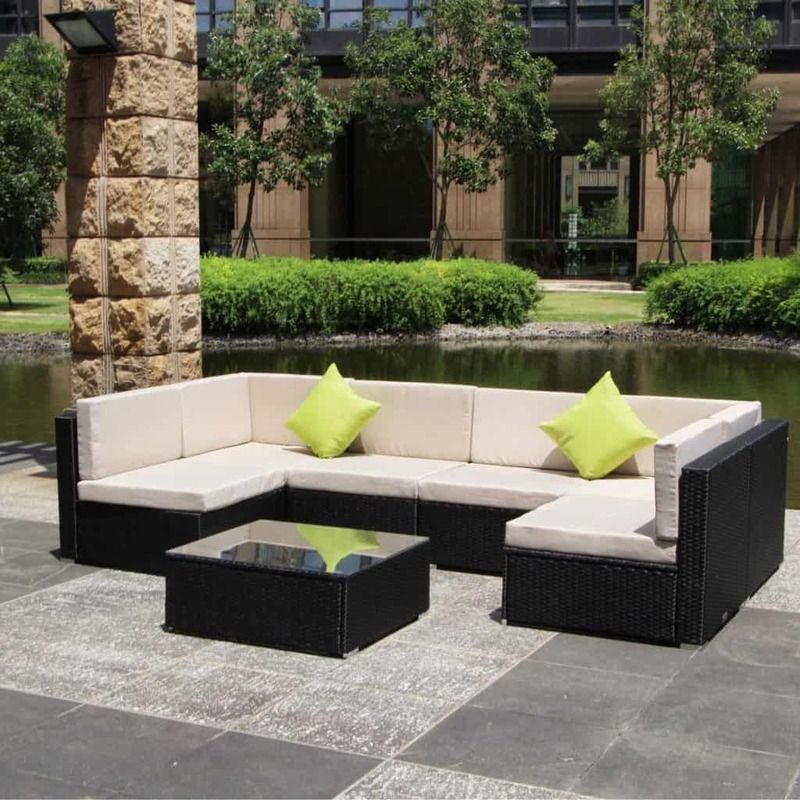 Let us examine the advantages and disadvantages of these two big players in the outdoor furniture arena. Resin furniture pieces are most commonly manufactured using polymer. Polymer is a variation of polyethylene plastic with higher density than ordinary plastic materials. The most desirable feature of resin material is that it is resistant to water and UV rays. 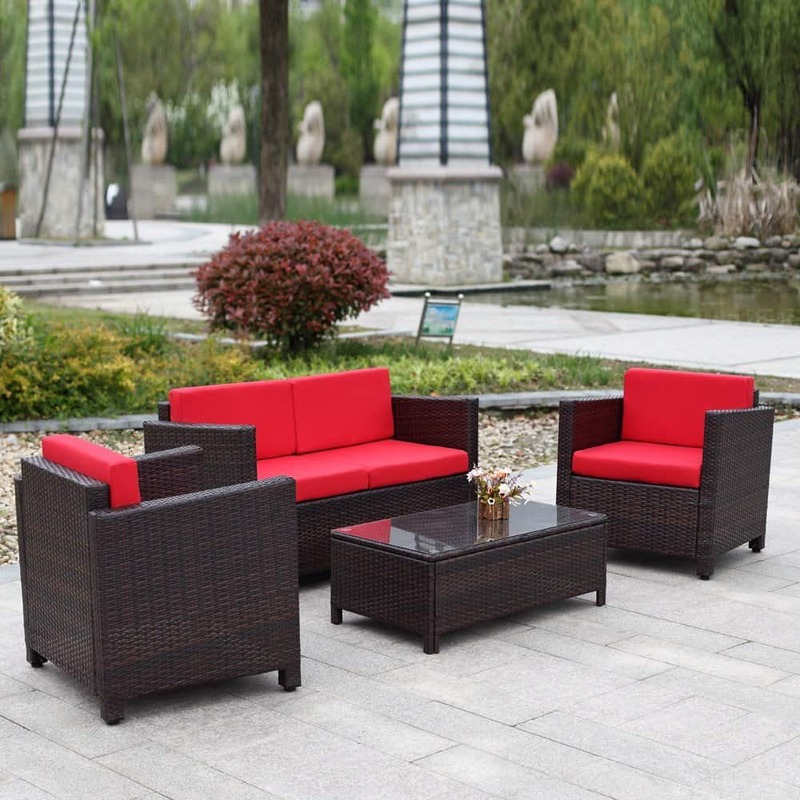 On the other hand, wicker furniture is made of willow, rattan, or reed materials that are woven together. They are sturdy, yet not as resistant to harmful elements like sun and water. Outdoor wicker furniture needs to be coated with lacquer or varnish so they don’t rot easily. Outdoor wicker chairs can complement most decors especially rustic or shabby chic themes. It blends well with outdoor living spaces that create an illusion of country living. Resin chairs, however, are made in many different colors, textures, and styles. This makes it easy to use in different design themes. 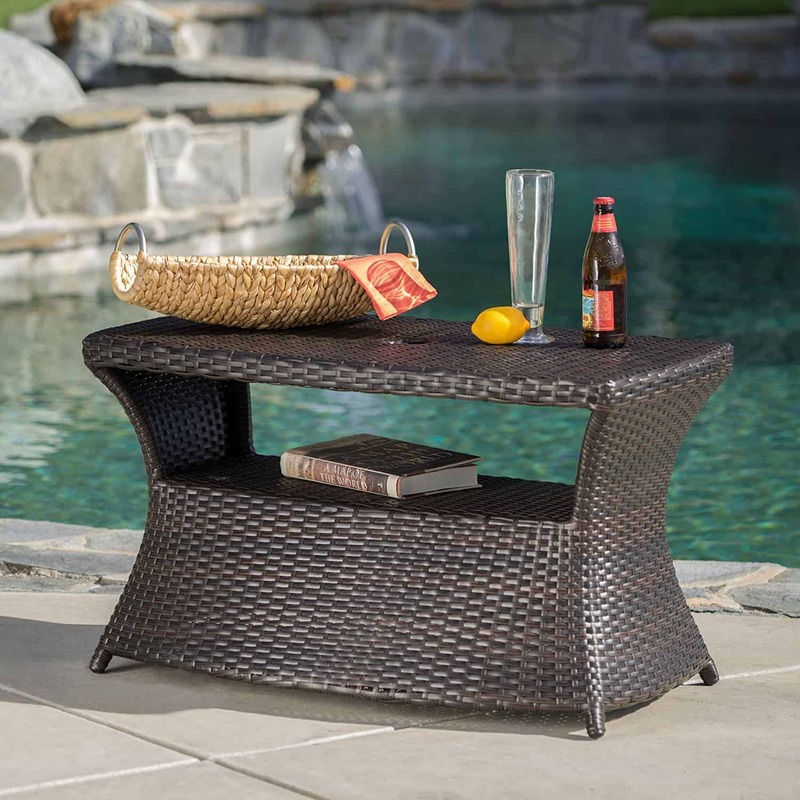 Generally, resin furniture is cheaper than wicker outdoor furniture pieces. To create high quality, beautiful wicker furniture, skillful craftsmanship is a must. This adds value to each piece, raising the prices for each creation. Resin furniture prices, on the other hand, are flexible. However, for a resin furniture piece to be sturdy and durable, it needs to be thick or heavy. The heavier the furniture, the pricier it gets. Resin chairs do not need complex maintenance procedures. They can be cleaned easily with regular soap and water. Even salt water cannot create considerable damage to this type of furniture. However, resin is not very friendly to the environment. They are not biodegradable. There are recycling options, but this is also possible with wicker furniture. With proper maintenance and care, wicker furniture can last long. It is biodegradable so it is the usual choice of many environmentalists. 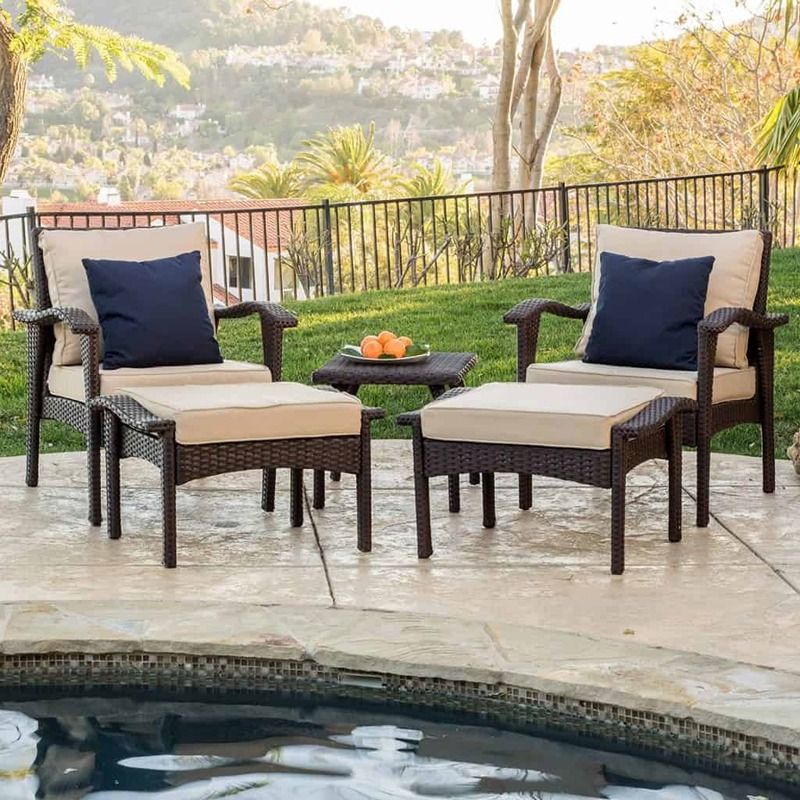 Choosing between resin or wicker chairs for your outdoor living space might be a little daunting. However, if you examine their peculiarities and your personal preferences, you will arrive at the right decision in no time. Just remember to also consider comfort for you and your family when choosing between these two types of furniture. I hope you enjoyed my wicked wicker post! I was amazed to see how far wicker has come, so many great options, and fairly priced too! Amazing post shared of wicker furniture. Great design of furniture.